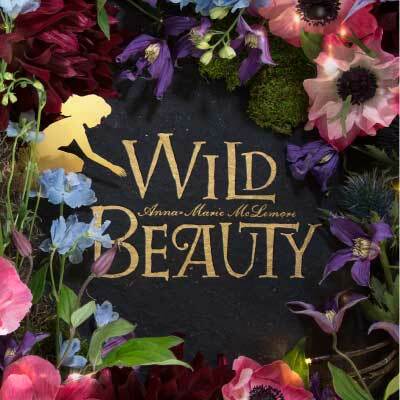 Our December title is the young adult novel, Wild Beauty, by Anna-Maria McLemore. Anna-Marie McLemore’s debut novel The Weight of Feathers garnered fabulous reviews and was a finalist for the prestigious YALSA Morris Award, and her second novel, When the Moon was Ours, was longlisted for the 2016 National Book Award for Young People’s Literature. Now, in Wild Beauty, McLemore introduces a spellbinding setting and two characters who are drawn together by fate—and pulled apart by reality. For nearly a century, the Nomeolvides women have tended the grounds of La Pradera, the lush estate gardens that enchant guests from around the world. They’ve also hidden a tragic legacy: if they fall in love too deeply, their lovers vanish. But then, after generations of vanishings, a strange boy appears in the gardens. The boy is a mystery to Estrella, the Nomeolvides girl who finds him, and to her family, but he’s even more a mystery to himself; he knows nothing more about who he is or where he came from than his first name. As Estrella tries to help Fel piece together his unknown past, La Pradera leads them to secrets as dangerous as they are magical in this stunning exploration of love, loss, and family.